Here's a printable for paper flowers great for kids of all ages and abilities! 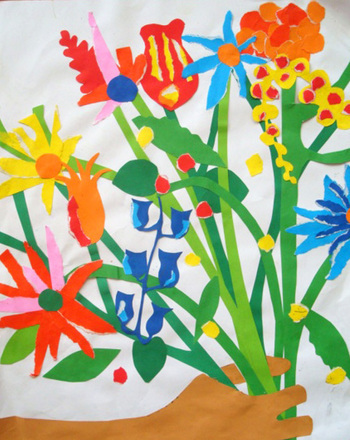 They can simply colour and glue together a garden of paper flowers, create a paper wreath or string up as a paper flower garland, or use one to decorate a greeting card. Have a really crafty kid? 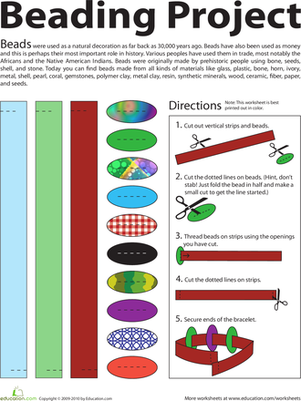 Use these as templates for fabric crafts and more. 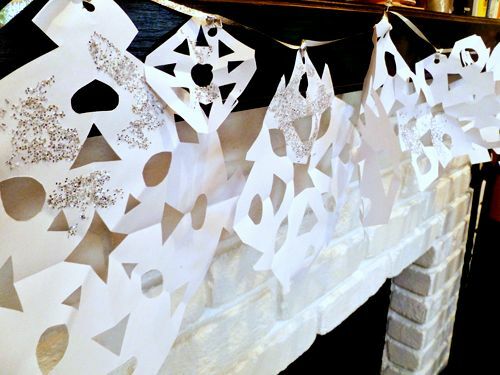 This snowflake garland will bring some winter wonder to your house. Make a sparkling snowflake garland with your child this winter. Whether it's Christmas, Hanukkah, or the 4th of July, these 3D paper ornaments will look lovely hanging from the ceiling or strung on a garland. 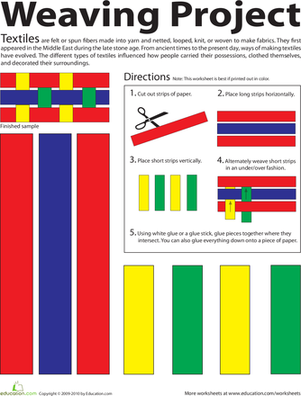 This hands-on cutting and weaving project allows your year four child to cut out paper strips and weave them in an over-under pattern. This is a fun, tactile art project where tearing paper produces art that makes a great gift for any occasion. 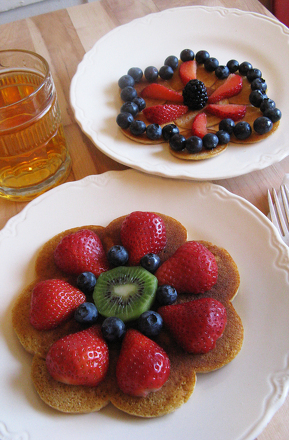 Serve a homemade breakfast for someone special with these mouthwatering flower pancakes that are decorated with fresh fruit. 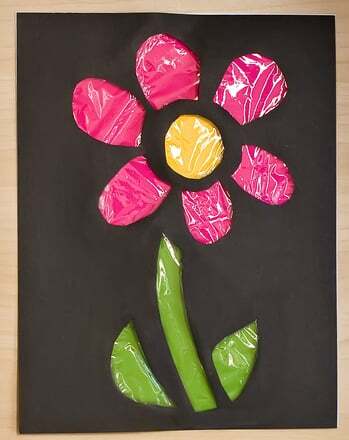 Create your very own "stained glass" flower, the perfect gift for mom this Mother's Day! This tiger is ready to roar, just as soon as you decorate and assemble your paper cat from this printable. 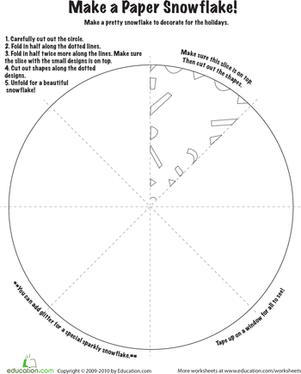 Make a paper snowflake with this fun holiday arts and crafts printable. This is a great activity for a cold winter afternoon when it's too cold to go outside.